If your goal is to crack-climbing, a stop at Indian Creek is a must. Follow your guide on a tour of the world-class parallel cracks of Indian Creek. Splitter after splitter crack climbs line the massive walls to the entrance of the infamous Needles District. Join us for a full day of climbing in what is the mecca of Southwestern crack climbing. Stay the day, or sleep under the stars with an overnight stay. 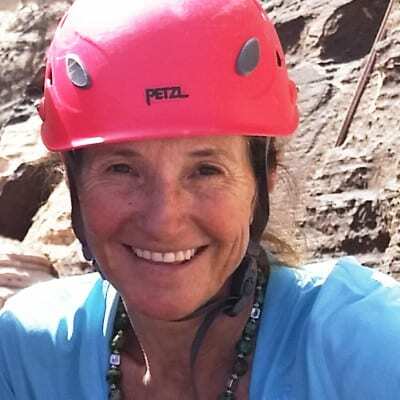 Jackson Hole Mountain Guides – The only AMGA accredited guide service in Moab! 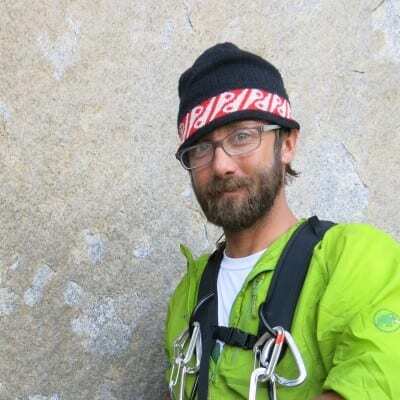 Hiring a guide, even for experienced climbers, makes good sense. Our guides get you on the route faster with fewer hassles, allowing you to do more climbing. 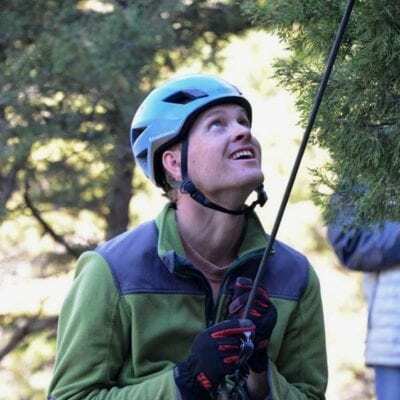 And because we’ll help you choose a climb suited to your level of experience and training, we can prevent you from getting in “over your head.” We provide all technical rock climbing equipment. You bring climbing shoes, food, camping equipment, shelter and transportation to and from the trailhead. Follow your guide to Indian Creek, approximately 100 miles round trip from downtown Moab. Once there, you will be transported back in time to the old West, surrounded by petroglyphs and the iconic Six shooters. The choices are endless with miles of cliff bands filled with crack climbing routes all within close proximity to one another, making the walking time minimal for the amount of climbing that can be achieved in a day. While there your day will be spent learning the nuances of climbing parallel cracks. At first difficult and painful but once mastered crack climbing is one o the most stable climbing techniques to have in your climbing arsenal. Please click here to inquire about specific dates for a private trip. Meeting times are determined by the season. Please contact 435-260-0990 for departure times. Unless prior arrangements have been made you will meet your guide at the RED ROCK BAKERY, 74 South Main Street across the street from the McStiff’s Plaza.